First 100 words was given to my daughter by her grandparents before her first birthday - this book is excellent for a one year old or older. This is a very large book and I love that the pages are so hard wearing so my daughter won't be able to ruin them like she had some of her other books, where she has chewed the corners. Each page is clearly set out I love the bright colours and that each word has a large sized photographs so she will be able to recognise them when she comes across them. This book has been arranged by section, again something that is a brilliant idea. My daughter can also associated each section to her day she particularly loves the bath-time section they include words like 'boat', 'fish' and towel. This normally then leads to her rowing back and forth and I take this as my cue to sign row, row, row your boat! I would highly recommend this book to any parent that are introducing first words to their little ones and I am pretty sure that it will be a big hit with them. My daughter has had this a few months and I think she doing so great. We have bought her another called my big book of learning but I don't think she is quite ready for this one just yet! 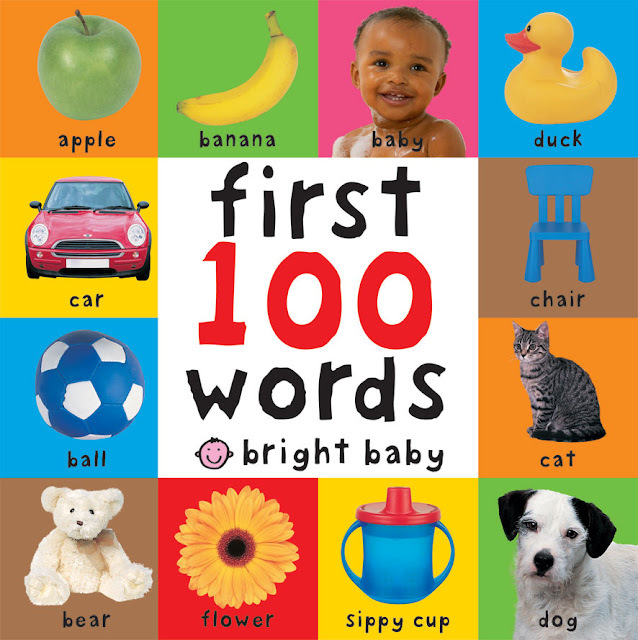 1 comment on "BOOK REVIEW | My first 100 words"
This was a great picture recognition book, my son can identify almost all the words in it now and he's not even two.